In the early days the motto was "Quality - from our suppliers through our employees to our customers". Today, that statement means more than ever before. 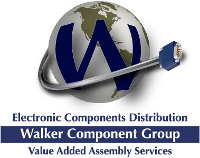 Walker Component Group is a binary company where electrical components and value-add services meets custom tailored customer service through inside sales, outside sales and business development. Walker is an ISO 9001 registered company. 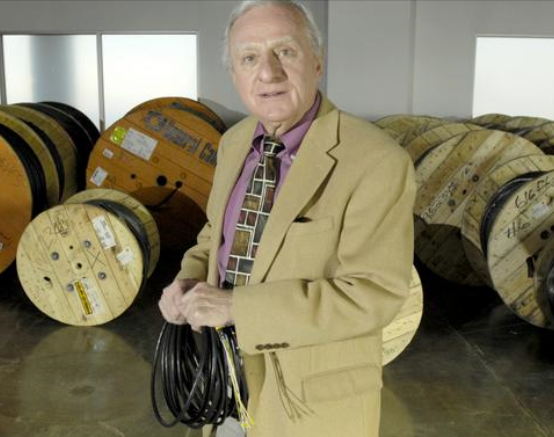 Our customers, from the Fortune 500, to national, regional, and local companies regularly entrust their supply chain requirements to our strengths in Electronic Component Distribution and Value-Added Solutions. We are very proud to have achieved many customer service awards along the way. 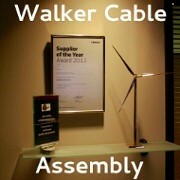 In 2011, the bar was set high for the organization when WCG won the Supplier of the Year award from Vestas - the global leader in wind energy. We continue to strive for world class excellence every day. Our sales staff has a combined total of 110 years-experience. We have over 100 franchised product lines with over 14,000 sku's in stock. We have three brick and mortar locations spanning the western U. S. to serve customers quickly and conveniently. Our Sales people will travel the globe to make sure the needs of our customers are met and exceeded. Please allow us the opportunity to serve your requirements. Our skilled proactive staff will exceed your expectations no matter where you are. Website © 2018 Walker Component Group, Inc.